Having the right agent with you is essential when shopping for new construction, and is here to help you navigate through your options in the California, Texas, or Florida. In real estate, you can always negotiate. However, with new construction, it depends on the developer and how long the home has been on the market. Developers in new additions avoid bending on price because buyers already in the area expect new construction to be comparably priced to what they already purchased. (You'll appreciate that same courtesy if there are undeveloped lots near the home you eventually purchase!) 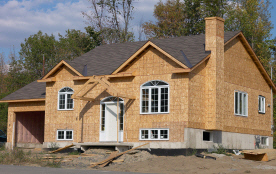 But, depending on how far along the project is and the local market, a builder will often allow a few concessions. Consider a property has been on the market a while and the builder has a lot sunk into it, then you have some room. The same goes for show or model homes that have been sitting for a while. However, if a home was recently completed, it's unlikely you'll get a deal. Finding you a new home that meets your family's needs and matches your budget will be our #1 objective. Give us a call at (888) 326-3949 to start the search for your new home today.